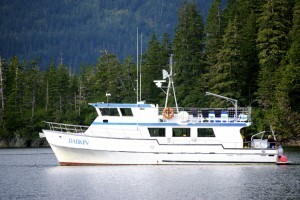 The m/v Babkin waits for us to return via skiff from a hike. 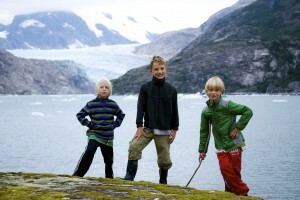 Posing in front of Nellie Juan Glacier in the Nellie Juan Wilderness. If there’s one thing I’ve learned in nearly 10 years of residence in Alaska, it’s never to underestimate the vastness of her shorelines. 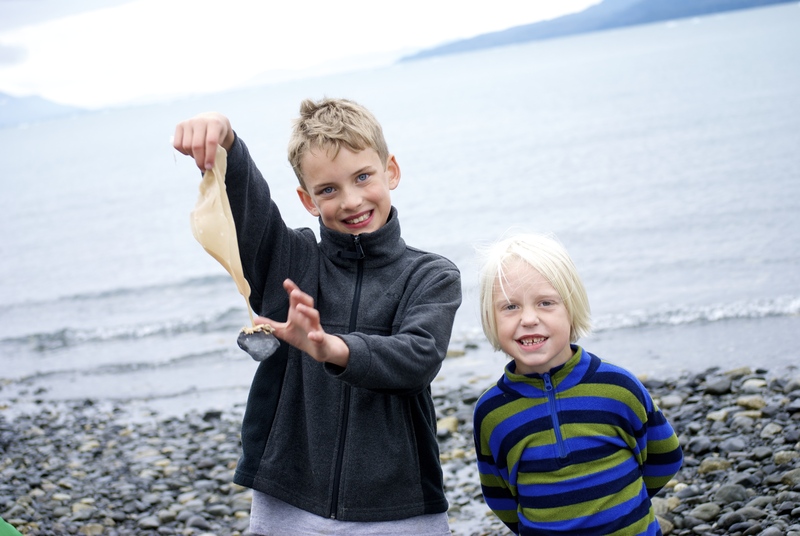 Boasting nearly 48,000 miles of rocky, sandy, or muddy beach land, Alaska’s waterways still remain largely unpopulated and undiscovered by the average visitor. Cruising Alaska is still the most popular way to see the state, with an estimated 1 million people stepping down gangplanks in search of a place they’ve read about or seen on television. 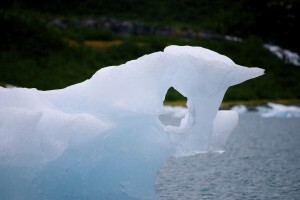 Looking for crazy shapes in icebergs parked along the beach of Nellie Juan Wilderness. I spent a weekend cruising Alaska, but not the usual itinerary, not even close. Instead of climbing onto a ship that resembled a small city and heading south toward cities of Juneau or Ketchikan, we packed our bags and drove 70 miles to the deepwater port of Whittier and a tiny company known as Babkin Charters. 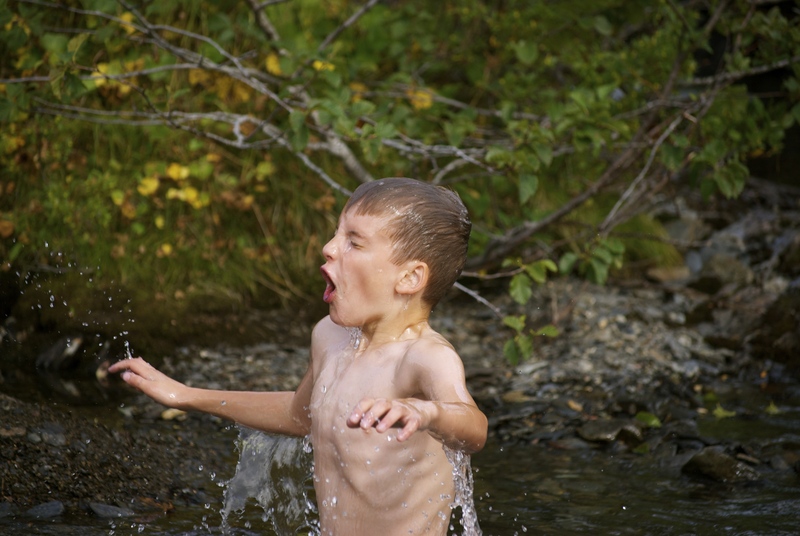 A little cold-water dip in a creek near Culross Passage. Owned and operated by a longtime Alaska family, and co-run to support industries of both commercial fishing and tourism, Babkin Charters features two vessels that sail from Whittier to the hidden coves and islands of Prince William Sound, a rich playground of recreation, history, and amazing scenery. The f/v Alexandra and m/v Babkin are cozy reminders of a style of travel that once upon a time was standard; guest money, guest interests, company expertise all combine together in a nice package of luxury touring. Shore chores. AK Kid loved this part. We slept in spacious bunks aboard the Babkin, larger vessel of the two, lulled each night into a coma of comfort thanks to good food and quietly-lapping waves against the forward hull. AK Kid ran up hills, danced on ice bergs, picked enormous blueberries, hauled up a series of shrimp pots, and swam in an icy-cold stream swooshing down from a nearby waterfall. He even helped pull in a gill net that had somehow fallen off a fishing boat, preventing disaster for unsuspecting marine mammals or birds. 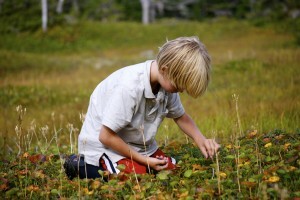 Low-bush blueberries attract a lot of attention in the meadow. 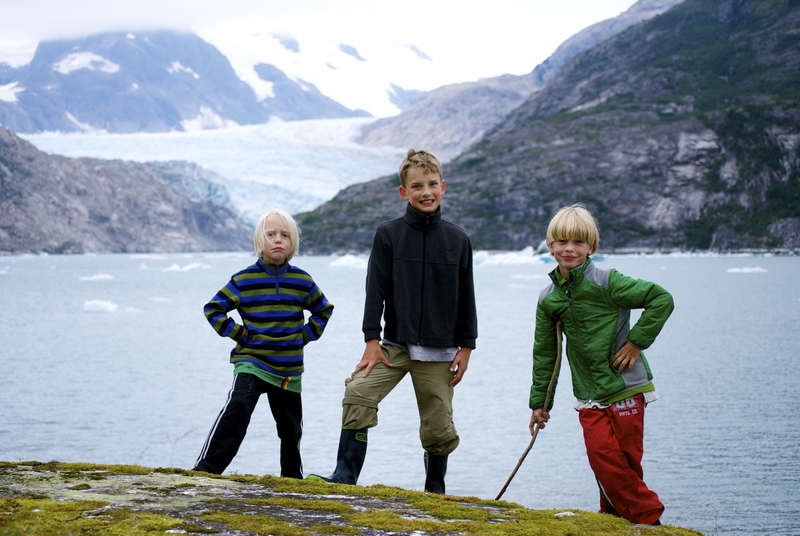 Babkin Charters offers families access to kayaking, fishing, hiking, and backcountry exploration of the finest kind. The simple combination of cruising Alaska coupled with diverse activity echoes a lifestyle envied by so many visitors, and it felt just right. While the average charter generally lasts four days, our short weekend excursion was a perfect way to wrap up a busy summer. 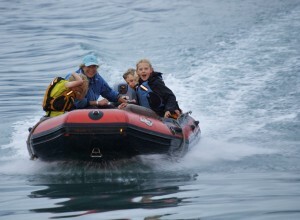 Captain Alex makes the kids scream for joy on a wacky skiff tour near Nellie Juan Glacier. 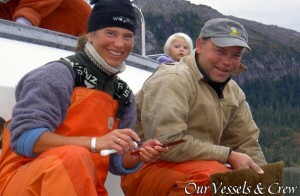 Captains Alex and Brad von Wichman, a brother-sister duo, make cruising Alaska unique to each family, and that matters. Itineraries center around interests ranging from photography to geology and hiking, a concept that works. And at the end of the day, perhaps it’s that concept that will win Babkin Charters the kudos it deserves from those looking for far more than the average vacation. By the time you disembark, you’ll have discovered this type of cruising has become a lifestyle. 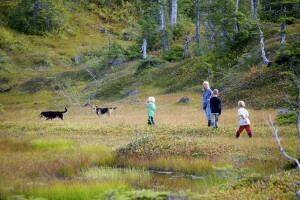 Early fall colors appear in a muskeg meadow. No trails, here! 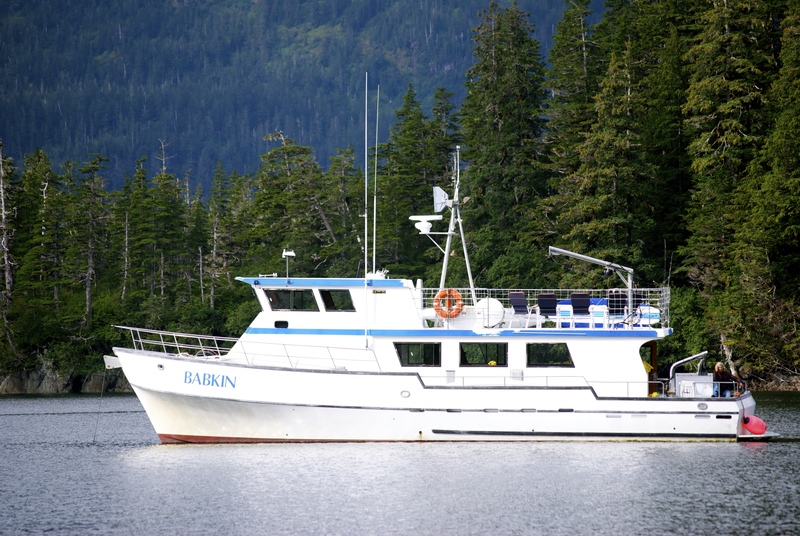 Babkin Charters operates seasonally from Whittier, Alaska, about 90 minutes from Anchorage. Itineraries range from weekend overnights to several days, and charters can be arranged to suit groups’ needs and interests. Train and auto transfer service is available from Anchorage as well. The Babkin is 58 feet long and can sleep 12 passengers; the Alexandra sleeps six and is a shorter 42 feet in length. Both vessels are equipped with a skiff for shore excursions, kayaks and a paddleboard for on-water fun, and full kitchens for fueling up with three daily meals and snacks. Who should go? Active families with kids who enjoy the outdoors. 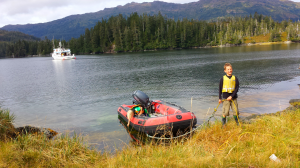 Crew are enthusiastic about exploring the nooks and crannies of Prince William Sound, taking kids on hikes through salmon streams, or straight across a muskeg-filled meadow. You’ll be busy, and weather will not deter the day’s activities, so read up on recommendations from Babkin Charters for gear. 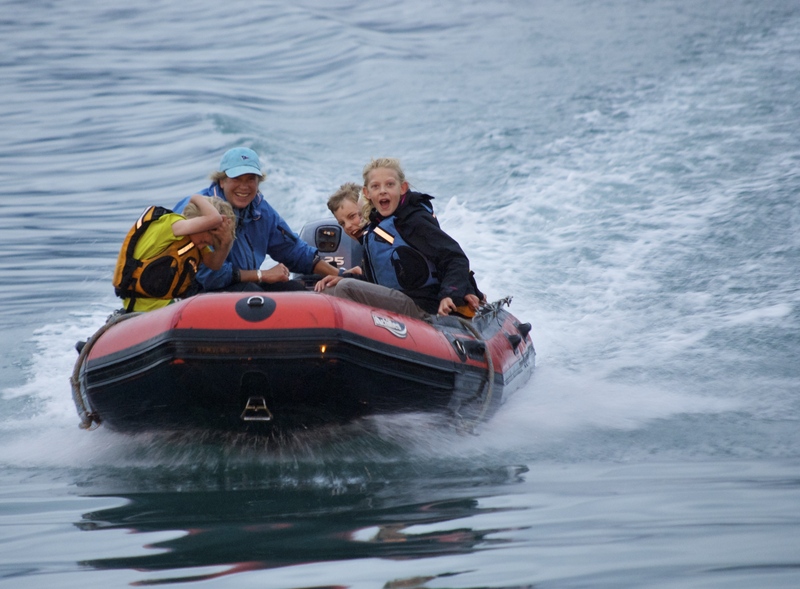 This is a recommended trip for children age four and up; toddlers and crawlers will find the space too confining and potentially unsafe for the unitiated boat traveler. Cost. This isn’t an affordable trip for most travelers, I’ll concede this. 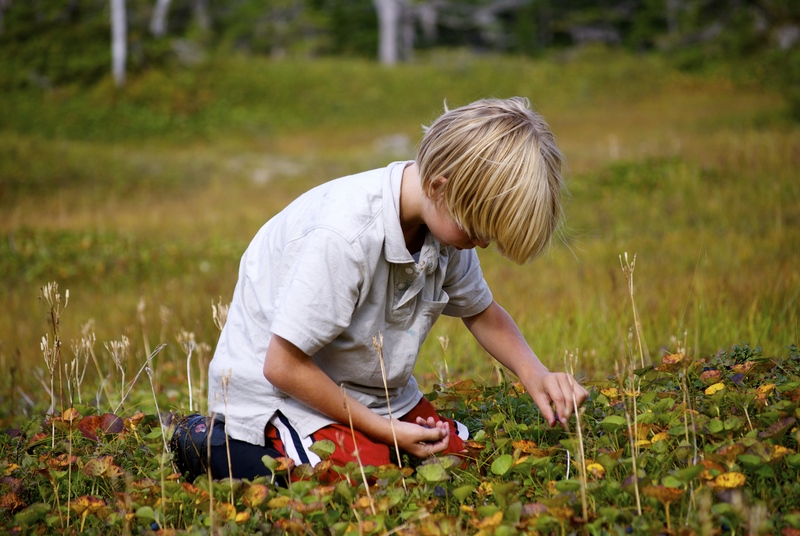 However, it is an experience that will resonate with kids, particularly older children who have a penchant for adventure and who may be ready for the next step in life. Captain Alex, in particular, is a gifted teacher who believes in hands-on learning, allowing kids the experience of driving the boat, baiting a shrimp pot, or kayaking a secluded bay. Kids will use their eyes and ears nearly every second of every day, and the long-term benefits might just outweigh that dent in your bank account. 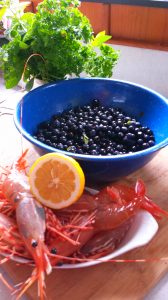 Learn more about Babkin Charters HERE. Cruising Alaska never looked so good. 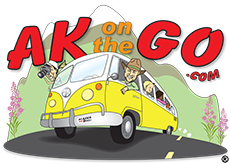 Posted in Big Adventures, cruising alaska and tagged Alaska, Alaska with Kids, Babkin Charters, Cruises, cruising Alaska, Family Travel.